Macalester is committed to being a preeminent liberal arts college with an educational program known for its high standards for scholarship and its special emphasis on internationalism, multiculturalism, and service to society. At Macalester College we believe that education is a fundamentally transforming experience. As a community of learners, the possibilities for this personal, social, and intellectual transformation extend to us all. We affirm the importance of the intellectual growth of the students, staff and faculty through individual and collaborative endeavor. We believe that this can best be achieved through an environment that values the diverse cultures of our world and recognizes our responsibility to provide a supportive and respectful environment for students, staff and faculty of all cultures and backgrounds. We expect students to develop a broad understanding of the liberal arts while they are at Macalester. Students should follow a primary course of study in order to acquire an understanding of disciplinary theory and methodology; they should be able to apply their understanding of theories to address problems in the larger community. Students should develop the ability to use information and communication resources effectively, be adept at critical, analytical and logical thinking, and express themselves well in both oral and written forms. Finally, students should be prepared to take responsibility for their personal, social and intellectual choices. We believe that the benefit of the educational experience at Macalester is the development of individuals who make informed judgments and interpretations of the broader world around them and choose actions or beliefs for which they are willing to be held accountable. We expect them to develop the ability to seek and use knowledge and experience in contexts that challenge and inform their suppositions about the world. We are committed to helping students grow intellectually and personally within an environment that models and promotes academic excellence and ethical behavior. The education a student begins at Macalester provides the basis for continuous transformation through learning and service. The Founder’s Vision. Macalester College was founded in 1874 with a commitment to making it one of the finest colleges in the country. Its founder, the Rev. Edward Duffield Neill, served as a chaplain in the Civil War and held positions in three U.S. presidential administrations. Journeying to the Minnesota Territory in 1849 to do missionary work, he founded two churches and served as the state’s first superintendent of public education and first chancellor of the University of Minnesota. Having shaped the education of the Northwest’s citizens, Neill turned to the education of its leaders. He believed that only a private college could offer both the academic quality and the values needed to prepare for leadership. He planned a college that would be equal in academic strength to the best colleges in the East. It would be Presbyterian-affiliated but nonsectarian, making it inclusive by the standards of his day. Charles Macalester, a prominent Philadelphia businessman and philanthropist, made the establishing gift by donating the Winslow House, a noted summer hotel in Minneapolis. With additional funding from the Presbyterian Church and from the new College’s trustees, Macalester opened in 1885 with five professors, six freshmen, and 52 preparatory students. Defining Excellence. In 1887, a young classical scholar named James Wallace joined the faculty-and forever changed the future-of Macalester College. Over the next 50 years, as faculty member, president, fund-raiser, donor, and role model, James Wallace helped the College define its special values and its standards of excellence. Wallace quickly established himself as a fine and demanding teacher, and he earned a national reputation for scholarship when he published two Greek textbooks that were widely used across the country. When he took on added duties as dean of the College and then as president, he dedicated himself to creating the strongest possible academic experience for Macalester students. He recruited excellent faculty members and carefully added new areas of study to the curriculum. In spite of academic success, James Wallace’s early years at Macalester were financially difficult. Gradually, his unceasing efforts built up a group of donors whose support, together with tuition from a growing student body, put the college on steady footing. By the time he rejoined the faculty in 1906, Wallace had enabled the college to pay off its debt, maintain a balanced budget, and begin to establish an endowment to offer some protection against hard times. Until shortly before his death in 1939, James Wallace taught religion, Greek, and political science. He inspired students to set high aspirations, strive for the best, and serve humanity on a global basis. His interest in world affairs intensified throughout his lifetime, and just before his 90th birthday he published a third book, this one on international peace and justice. Distinguishing Values. In the 1940s and 1950s President Charles J. Turck gave new emphasis to the College’s internationalism by recruiting foreign students, creating overseas study opportunities, and hiring faculty from diverse backgrounds. As a symbol of commitment to international harmony, he raised the United Nations flag on campus in 1950, and it has flown every day since then, just below the United States flag. Under his leadership, the College also broadened its base of community service and intensified its continuing interest in civic and national affairs. President Turck wrote a regular column in the student newspaper, often discussing social justice at home and abroad. Macalester engaged in a remarkable period of advancement throughout the 1960s. Under the leadership of President Harvey M. Rice, the College strengthened the academic credentials of its faculty, enhanced the academic program, and increased its visibility, attracting students from across the nation and around the world. A major building campaign resulted in a fine arts center and new science facilities which were among the best in the United States. All of this was made possible by the generous gifts of many friends, led by DeWitt and Lila Wallace, founders of the Reader’s Digest and major benefactors of Macalester. Mr. Wallace, who died in 1981, was the son of President James Wallace and a member of the College’s class of 1911. Along the way, Macalester committed itself to a liberal arts curriculum and asserted five traditional and distinguishing values: involvement of students with faculty in the pursuit of learning; creation of a diverse campus community; incorporation of an international perspective in the curriculum and campus life; involvement of the College in the life of the metropolitan area; and espousal of service as a way of life. Catharine Deaver Lealtad became Macalester’s first African American graduate in 1915; as a physician she spent a long career treating children affected by poverty, war, and famine around the world. Esther Torii Suzuki was admitted to Macalester in 1942, freeing her from the internment camp where her Japanese American family was placed during World War II; she became a social worker and human rights activist. Walter Mondale, who grew up in southern Minnesota, was part of the Class of 1950; he went on to become vice president of the United States, a U.S. senator, and U.S. Ambassador to Japan. Kofi Annan came to Macalester from Ghana; after his 1961 graduation he began a career with the United Nations culminating in his election to the post of U.N. Secretary General and his receipt of the 2001 Nobel Peace Prize. Unprecedented Strength. The 1990s were another period of significant advancement for Macalester. In 1991, the College’s endowment became significantly stronger than it had been, enabling Macalester to pursue its high ideals with renewed vision and confidence. The College increased the number of faculty positions, adding new depth and more broadly diverse perspectives to the educational program. The improved student-faculty ratio also made possible more flexible and personalized teaching approaches, including significant enhancement of an already strong emphasis on faculty-student collaborative research and writing. The College also increased international study opportunities for students and faculty and strengthened co-curricular programs from athletics to residential life to community service. Through a comprehensive campus improvement program, virtually every academic and residential building on campus was renovated, as were the athletic facilities. Extensive renovation of the science facilities, which merged two buildings into the Olin-Rice Science Center, was completed in 1997. George Draper Dayton residence hall opened in 1998, the Ruth Stricker Dayton Campus Center in 2001, and the renovated Kagin Commons student services building in 2002. A comprehensive fund-raising campaign completed in 2000 raised $55.3 million to help support some of those building projects as well as scholarship funds, student-faculty research stipends, academic programs, and annual operations. The College entered the 21st century with a planning process that reaffirmed its core values and key strengths. In Fall 2005, President Brian C. Rosenberg issued a vision statement which calls upon Macalester to respond to the world’s complex challenges with renewed academic strength and with a commitment to global citizenship on the part of the College and its graduates. Global citizenship begins with responsible and reflective local engagement that transcends parochial concerns and regards all human beings as fellow citizens. Macalester’s Institute for Global Citizenship, created in 2005, serves as a catalyst for strengthening programs by which students connect academic study with off-campus applications through internships and service-learning opportunities both in the United States and abroad, and programs by which students explore ways to engage some of the world’s most challenging issues through their chosen professions. In fall 2008 Macalester publicly launched the $150 million Step Forward campaign to raise funds for scholarships, faculty support, program enhancement, operating support, and new facilities. By the campaign’s conclusion in December 2011–in the most difficult fundraising climate in the past 80 years–the college had surpassed that goal by raising over $156 million. More than 20,000 donors made gifts to support campaign initiatives, including 65 percent of Macalester alumni. Many of the campaign’s milestones are visible on campus: the Leonard Center athletic and wellness complex, Markim Hall (home to the Institute for Global Citizenship), and the first stage of the Janet Wallace Fine Arts Center’s renovation and expansion, which created a central commons and state-of-the-art spaces for music at Macalester. Other achievements are behind the scenes but equally critical: donors contributed more than $38 million for student scholarships, $29 million for endowed professorships and faculty support, and $22 million for the college’s Annual Fund. With the campaign successfully closed, Macalester will continue with plans to renovate and expand the fine and performing arts facilities in the coming years. With the help of financial support from its alumni and friends, Macalester continues the traditions begun by its founders and carried forward throughout its history: providing an education of uncompromising academic quality to talented students from a wide range of social and cultural backgrounds and preparing them to make a significant and positive difference in the world. Macalester’s Statement of Student Learning focuses on the college’s aspirations as an institution of higher learning. From an institutional perspective, the Statement addresses college-wide values and goals underlying both curricular and co-curricular activities. The dual focus on curricular and co-curricular activities embodies an integrated perspective acknowledging the various ways in which students learn. Also, the Statement aims to enhance efforts within and between various departments and offices to achieve college-wide goals. A collective vision of student learning grounded in Macalester values enables collaboration by multiple faculty and staff in different departments and offices. Macalester’s values form the foundation upon which our student learning goals and outcomes are built. These goals and outcomes are grouped into six principal areas: (1) Demonstrating intellectual depth and breadth; (2) Thinking critically and analyzing effectively; (3) Communicating effectively; (4) Demonstrating intercultural knowledge and competence; (5) Making informed choices and accepting responsibility; and (6) Engaging community. Macalester’s Statement of Student Learning articulates learning goals and outcomes based on college-wide values. These student learning goals and outcomes are advanced by faculty and staff offering learning opportunities to students who are intentional learners. This collaborative process aims to produce Macalester graduates who are life-long learners capable of pursuing rigorous graduate education, embarking on successful careers, and meeting future challenges. Macalester College opened its doors with the support of the Presbyterian Church. From the beginning, Macalester’s leaders decided that the College should be nonsectarian in its instruction and attitudes. Their belief that the campus is a place to foster spiritual growth among people of many religions takes shape in the variety of religious offerings at the College. Macalester’s full-time chaplain is an ordained Presbyterian minister. In addition, associate chaplains currently represent the Catholic and Jewish faiths. Ecumenical worship services are held regularly in the beautiful Weyerhaeuser Memorial Chapel on the campus. Macalester College and the Presbyterian Church (USA) through the Synod of Lakes and Prairies signed a Covenant in 1996 which reaffirms the creative and intentional relationship between the Church and the College, expresses a spirit of respect and mutual cooperation, looks at ways in which the values of each institution intersect, and establishes a framework for working together to address significant social and faith issues in ways that result in growth and benefit for the Synod, the College, and the wider community. 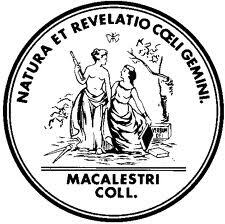 Macalester would be affiliated with the Presbyterian Church, but unlike some religious schools of the time, it would be open to students of other faiths, and it would also be open to scientific and scholarly quests for knowledge and truth at the highest levels of quality. That spirit of openness has continued through the years, resulting in a Macalester community where students, faculty and staff speak literally hundreds of languages; their cultural, ethnic and socioeconomic backgrounds form a rich tapestry that adds complexity and nuance to an already fertile liberal arts curriculum. Today’s students engage in the full scope of that curriculum, from the classics and religious studies to the ever-increasing complexity of the sciences, and from traditional strongholds such as political science, history, economics, languages and the arts to newer interdisciplinary fields such as environmental studies and international studies. Macalester’s stylized shield was introduced as the College’s signature, or visual symbol, in the 1990s. Its origins, however, reach back to the College’s Presbyterian and Scottish roots. Like other Scottish families, Macalester has its own official woven pattern called a tartan. For decades, the College used a rendering of an old-fashioned tartan-covered shield as its visual symbol. The shield now in use is rooted in this tradition but is open and forward-looking. One can see in it the streets of our city, the crossroads of the world, and the threads that make up the fabric of the Macalester community.